If you thought TVs couldn’t get any thinner, think again. LG’s new Wallpaper TV is 55" wide, but less than one millimeter thick. So thin and light it attaches directly to the wall. So stunning. So simple. Picture-on-Wall design allows the television to lay virtually flat so it seems to blend with the wall and disappear, this is only possible with the uniquely efficient technology of LG OLED TV. Beautiful on or off, it is the purest form a television can take and the ultimate in minimalism. 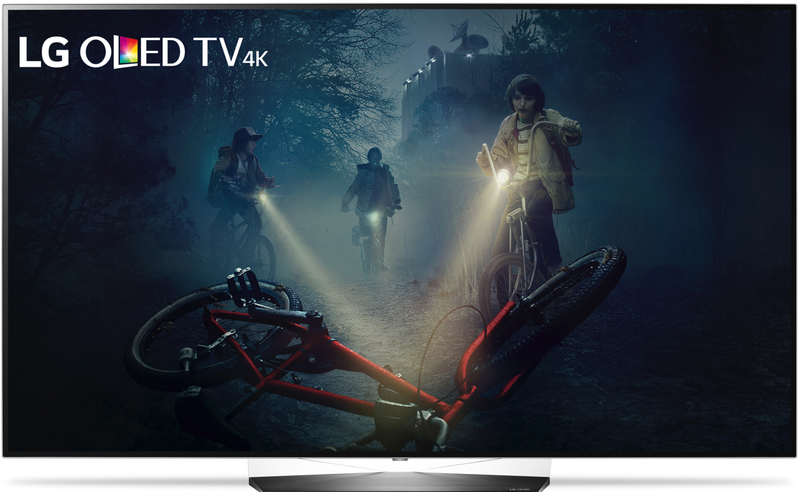 EXPERIENCE LG OLED — A TV FOR EVERY HOME. SELECTED & INSTALLED JUST FOR YOU. With the same picture quality as the Wallpaper TV, every OLED in the 2017 lineup delivers perfect black for colors to come alive. LG OLED pixels are what make it all possible, each turning on and off individually for absolute infinite contrast. Get Dolby Vision™and Dolby Atmos®. True Home Cinema. 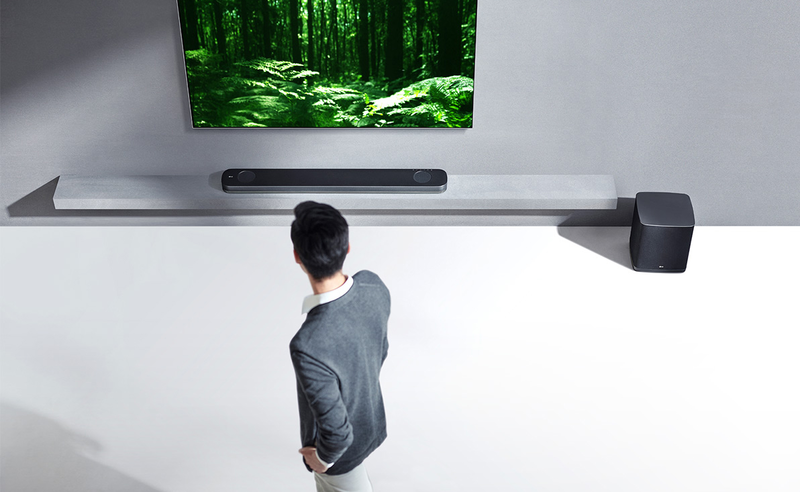 Bring Big Screen Sound to the Living Room. 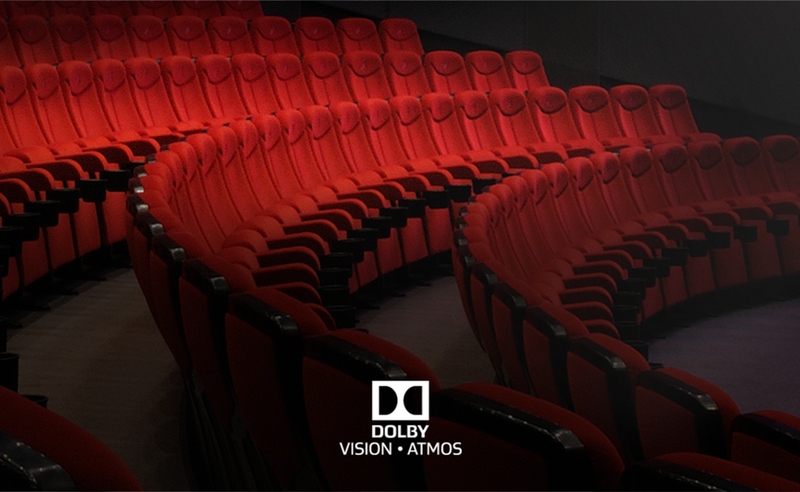 Straight from state-of-the-art theaters to the home, Dolby Atmos® creates a sound that can appear to come from anywhere. Silence all around. Explosions from above. A villain laughing behind. 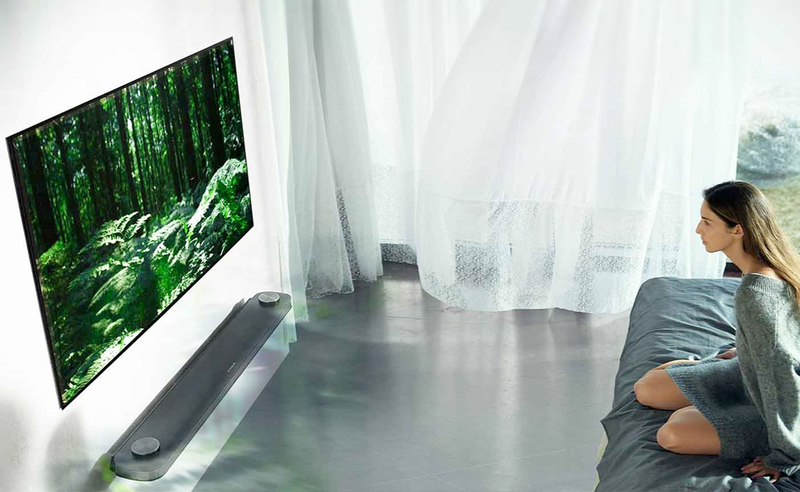 With LG OLED TV, audio becomes an incredibly realistic, immersive experience. What’s the Right TV for You? From the front or the side, every seat in the TV room gets a sharp, vibrant picture without washed-out tones. The unique design of LG OLED TV assures that every view is a great one.